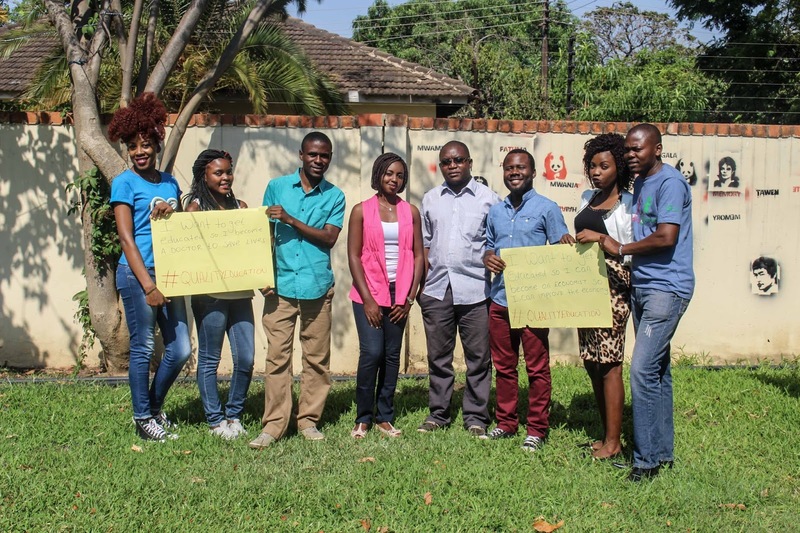 A group of 26 youths from Zambia and Zimbabwe have launched three social media campaigns to raise awareness over a number of issues affecting residents of Lusaka. The youths, who have been attending a five day training in Social Media and Advocacy in Lusaka organised by Global Platform Zambia, launched the three campaigns this afternoon. The campaigns include #QualityEducationZambia, the Water Crisis in Mtendere and #Youth4SRH. Earlier in the day, the youths, who were split into three groups, visited various places within Lusaka to document problems the residents were going through which they can use for advocacy. The group which visited the University of Zambia, interviewed a number of students and those found on the Great East Campus over quality education. "We got various views from people we interviewed. What we learnt was that people want quality education. They are saying quality education is beneficial to their careers," said Tigana Chileshe, a Zambia participant who gave a power point presentation. Tigana later unveiled the group's seven minutes documentary which showed youths calling for quality education. Using the hashtag #QualityEducationZambia, the group wants to raise awareness for quality education as part of the drive for Zambia to attain the Sustainable Development Goal (SDG) number four. 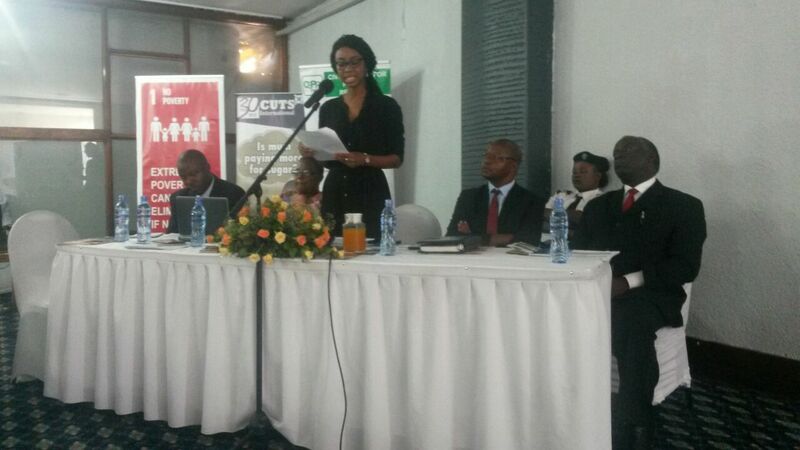 Zambia is among the signatories for the 17 SDGs which are expected to be met by 2030. In September 2015, world leaders who met at the United Nations in New York agreed to replace the Millennium Development Goals with the more robust SDGs. Using social media, the nine participants from the first group hope to push for quality education every time they are online. And in the second group, participants produced a four minutes video detailing the challenges residents of Mtendere go through when fetching for water. 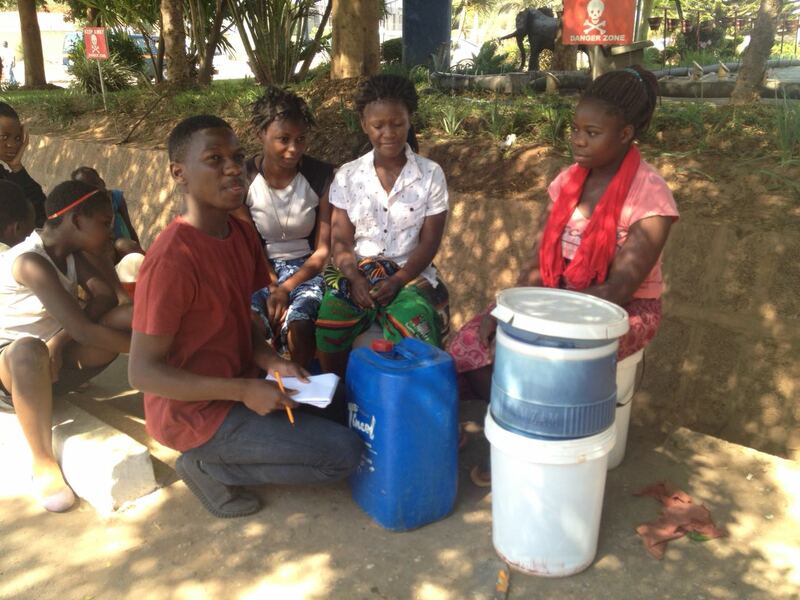 The video showed residents queuing at a tap found at a filing station as there was no water in the neighourhood. It also showed a business owner who was complaining about erratic water supply for his carwash. 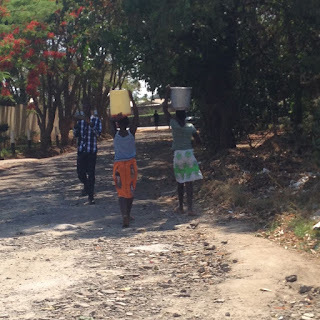 "The people we interviewed complained that they have been reporting water shortages to relevant authorities but there is no action," said Sammy Milapo, a Zambia participant who unveiled the video during the training. In the third group, participants visited Kalingalinga Clinic to check on the Youth Space which was created to accommodate youths when they come to access Sexual Reproductive Health Services. However, the group was not allowed to film as they did not seek permission from the Lusaka District Health Management Team. "We were however allowed to see the youth space even though we could not film. What alarmed us were the lack of activities for the peer educators who just sit there and wait for youths. Also, there is no proper signage for the youth space and it is a challenge for a youth to locate the place," said Nhlanhla Moyo, a Zimbabwean participant who gave a powerpoint presentation. The group also plans to raise awareness about Youth Spaces and lack of good funding from government using the hashtag #Youth4SRH. Her day starts at 05:00hrs like any other mother. She sweeps the surrounding of her house and washes plates. 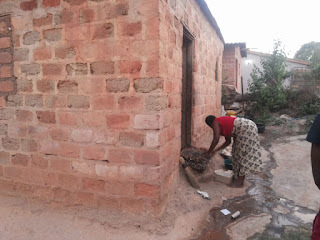 Given Mwila is a 41 year old mother of Kitwe’s Chimwemwe Township. She is not just a mother, but also a school-going pupil. She has three fully grown children and lives with her husband who at first did not believe she would ever go back to school. Interestingly, Given is in the same class with her 19 year old son Chishala at Parklands Secondary School. On every week day, they prepare for school together and leave home at around 06:00hrs. Luckily for them, a neighbour owns a public service minibus which takes them to school. He picks them up just outside their house at exactly 06:15hrs. On this 20 minutes ride, they do not pay as the bus owner has made it a policy to help them out. The duo usually arrives at school at around 06:35 ahead of class which starts at 07:40hrs. Her decision to go back to school was not an easy one as school authorities had hesitated to accept her. “I stopped school many years ago because I wasn’t interested. But a few years ago I decided to go back. Initially, the school refused but they later told me that I needed to start from Grade Nine. So that’s how I enrolled and wrote the examinations. I passed and continued until today,” said Given with smiles on her face. Against all odds, she desires to become a nurse. 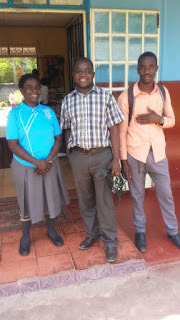 Being a prefect and the oldest pupil at Parklands Secondary School, Given has become a darling to many pupils who are over two decades younger than her. “I do not mind her age, we joke and talk a lot of stuff mostly about school,” said Fewdays Kalimu, a male classmate who identifies himself as Given’s best friend. Another pupil said she treats Given as her mother due to her motherly advise on academic issues. When this blogger went to Parklands Secondary School on Tuesday morning to conduct an interview with Given, he was shocked to see her mobbed by both girls and boys who took turns greeting and cracking jokes with her. With her trademark smile, Given, who wears a green shirt for prefects, hugged the pupils in return and lovingly responded to their greetings. Her son Chishala, who stood next to her during the interview, said he does not mind being in the same class with his mother. “I have been learning with my mother for three years now. I treat her like any other classmate. We do home work together and I do not feel intimidated by her presence,” said Chishala. However, the mother jokingly says she intervenes if her son misbehaves in class. “If he misbehaves with his friends in class, I just point a finger at him and he behaves,” said Given as her son burst into laughter. And school authorities have disclosed that they decided to appoint Given a prefect in order for her to continue being an inspiration to the young ones. In an interview, Parklands Secondary School Headteacher Elizabeth Chumpuka praised the 41 year old pupil for her zeal to upgrade her education. “We saw her maturity, determination and hard work that’s how we chose her as a prefect,” she said. 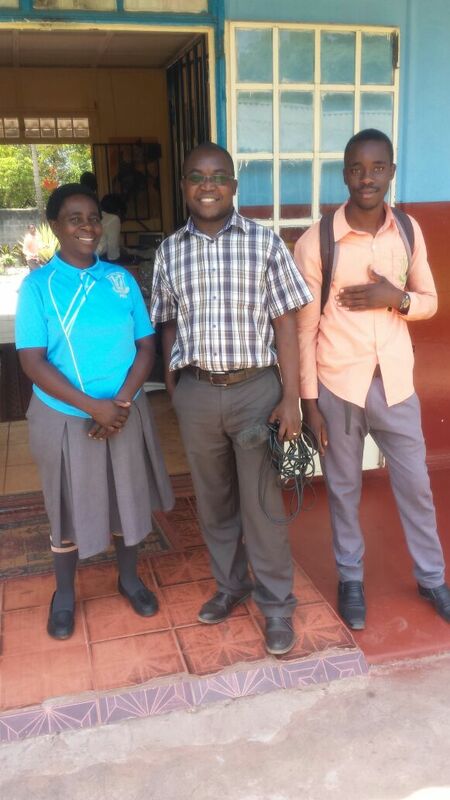 Given’s story has also been commended by Kitwe District Education Board Secretary Kezala Mwale. “The young lady is an inspiration. Her decision to go back to school decades after dropping out is a signal that government’s re-entry policy is working. I wish to urge other girls to emulate her and go back to school to complete their education,” he said. The re-entry policy Mr Mwale referred to is a government initiative which allows female pupils who drop out of school on account of pregnancy or early marriage to return to class after delivery or when they deem it fit. Given’s dream of becoming a nurse is just a few years away from being realised. This year she is seating for her Grade 12 examinations and she is confident of pulling through. Her determination is amazing and it is expected to make her a role model in a society where adults rarely go back to school. The United Nations System in Zambia has pledged to support Zambia meet all the Sustainable Development Goals (SDGs), which President Edgar Lungu committed the country to last year in New York. In September last year, President LUNGU was among dozens of world leaders who committed their countries to all the 17 SDGs which are aimed at fighting poverty and inequality in society. The SDGs replaced the Millennium Developmental Goals. UN Resident Coordinator Janet Rogan says the global body will support the government, Parliament and civil society in Zambia to ensure that the country implements strategies aimed at achieving the SDGs and developing the country. Ms ROGAN says the United Nations has a lot of experience in developmental programs which it can use to help the Zambian government uplift the lives of its people. She said this in a speech read for her by United Nations Development Program National Economist Elda Chirwa in Kitwe last week during the official opening of a symposium on localizing the SDGs in the northern part of Zambia. And Copperbelt Province Permanent Secretary Howard Sikwela says attaining all the 17 SDGs will help in improving people’s lives. 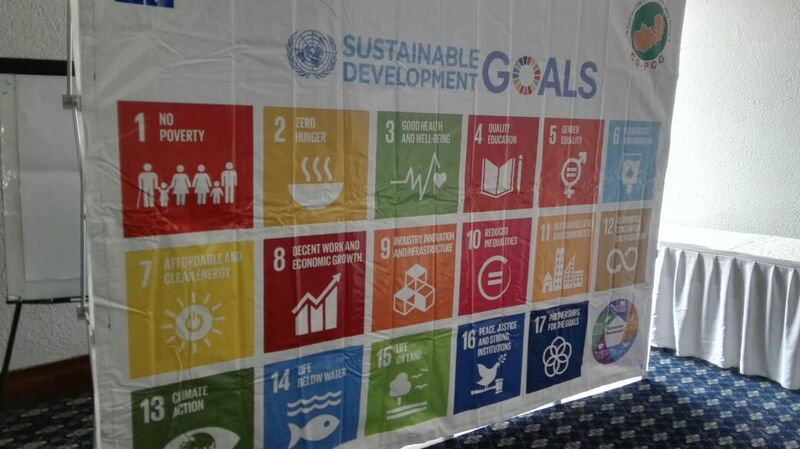 Reverend Sikwela says government is committed to doing everything possible to meet the SDG targets which replaced the Millennium Development Goals last year. He said this in a speech read for him by Acting Kitwe District Commissioner Dr. Chikafuna Banda at the same event. Meanwhile, the Civil Society Poverty Observatory Group says the high poverty levels and inequality in Zambia are worrying. 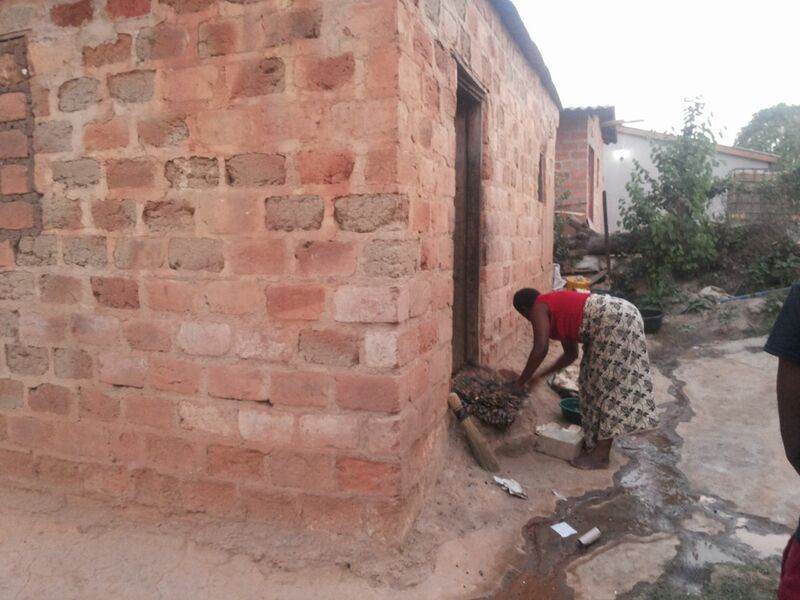 Organisation Chairperson Chenai Mukumba says the poverty levels can only be reduced if government and stakeholders work together to localize the SDGs so that they can have impact at household level. Ms Mukumba has since called on District and City Councils countrywide to work together with the civil society and government to implement programmes which are aimed at fighting poverty in society. 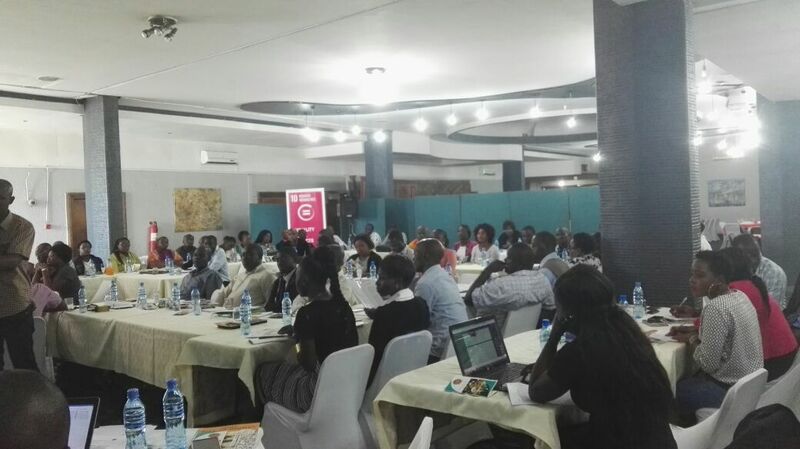 The meeting brought together over 30 representatives of civil society organizations in five of Zambia’s 10 provinces for the one day symposium. 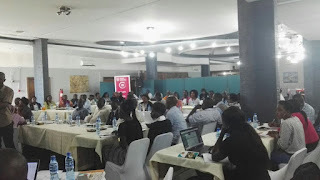 About five journalists from community radio stations on the Copperbelt, Luapula, North Western, Muchinga and Northern Provinces were part of the deliberations as a way of mainstreaming the SDGs in their news and programs. “When I return to Mpika, we shall start a program on the SDGs. 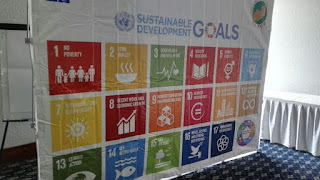 This program will enlighten people on these global goals and we shall utilize local non-governmental organizations to explain them to the masses,” said Allan Dumingo, the station manager at Mpika FM radio in Muchinga Province. Another journalist Martha Musoka of Kasempa Radio said most of the station’s programs are on developmental issues and her participation at the symposium was going to benefit the station which is located in the North Western Province. “We are the voice of the voiceless in Luapula Province. This workshop has come at the right time and it will help us explain the SDGs to the people, said Joyce Phiri of Radio Yangeni. Having sensitized the civil society and media in the Northern Region, the United Nations will soon hold another symposium in Lusaka for the southern part of the country in the next three weeks. The aim is to ensure that no one is left behind in the implementation of the SDGs which will ultimately translate into economic development and wealth creation. Feasibility studies for the US$450 million Kafulafuta Dam which is expected to benefit over 16,000 in Luanshya, Masaiti and Ndola Districts have commenced. The construction of the Kafulafuta Dam in Masaiti District, which is funded by China, is among three huge capital projects which President Edgar Lungu announced last year as part of his government’s drive to create 10,000 jobs on the Copperbelt. The other two are the US$492 million Copperbelt 400 (C400) township road project and the US$397 million Greenfields International Airport in Ndola. Tropical Environmental Management, a company which has been contracted by the Ndola-based Kafubu Water and Sewerage Company, has commenced its environmental impact assessment at the proposed sites in Ibenga area of Masaiti. “We have already selected three sites where there is potential for a dam. We will soon commence our examination of soil samples, air and water so we can choose the best site. We will recommend the place which has minimal impact on people,” said John Simumba, Tropical Environmental Management’s Managing Director. His team of three experts includes those who will look at the relocation of dozens of families who live just a few meters away from the Kafulafuta river. The firm has 65 days in which it is to complete its environmental impact assessment which it is supposed to hand over to the Zambia Environmental Management Agency (ZEMA). 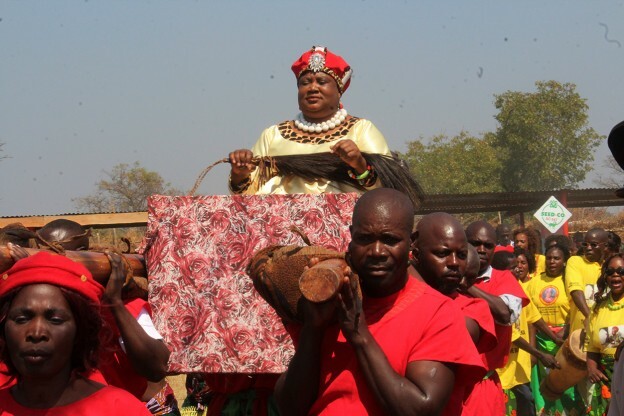 Yesterday, the firm held a well attended scoping meeting in Ibenga which was attended by hundreds of residents, government officials and traditional leaders. And Kafubu Water and Sewerage Company Managing Director Athanasius Mwaba disclosed during the meeting that the Kafulafuta Dam will increase the firm’s supply of clean running water to over 80,000 households in the three districts where the utility provides water. 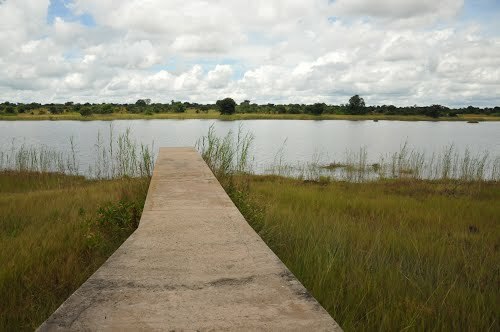 “This dam will help us increase our water supply in the three districts. It will have a capacity of 125 million cubic meters of water which will supply Ndola, Luanshya and Masaiti,” said Mr Mwaba. He also announced that still under the Kafubu Sustainable Water and Sanitation Improvement project, the utility will also construct another dam across the Mpongwe river to provide the first ever clean running water in Mpongwe District. During the meeting, several residents who live near the Kafulafuta river expressed worry about compensation. Others said they were not sure whether to start cultivating their fields or not due to the impending displacements. “My complaint is about basic social amenities where you will relocate us to. Will we find roads, schools, hospitals and other facilities?” asked Evaristo Ngowani, a blind old man who has spent years at the government run Masaiti Blind Center which is 600 meters away from the stream. But Copperbelt Permanent Secretary Howard Sikwela assured the residents that the project is aimed at increasing their access to clean running water and no one will suffer. “Whoever will be relocated will be compensated. We do not want our people to be affected as if they are second class citizens,” said Reverend Sikwela. Meanwhile Chieftainess Malembeka, whose chiefdom will host part of the dam, welcomed the development but urged Kafubu Water and Sewerage Company to ensure that locals are prioritised in jobs which will be created. 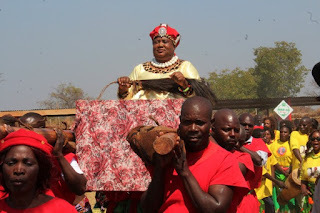 Her sentiments were also echoed by Senior Chief Mushili’s Administrative Secretary Evaristo Kaluba who urged government officials to fulfil all the promises they were making to Masaiti residents over the dam. Zambia has commenced talks with the International Monetary Fund (IMF) to find ways in which the Bretton Woods institution can help the southern African country emerge stronger from its current economic challenges. The country is the world’s third largest producer of copper after Chile and the Democratic Republic of Congo. The newly sworn in Finance Minister Felix Mutati is in Washington attending the annual meetings of the IMF and World Bank. Today, Mr Mutati held closed door meetings with IMF officials and discussed Zambia’s economic recovery programme which he is championing. “The minister said the country had a huge financing gap that was negatively impacting the country’s inflation rate worsened by low copper prices adding that the banking sector was currently holding up to 10 percent of bad debt. The Minister said the government would announce the economic recovery program in the coming budget,” reads part of a statement issued by Zambia’s embassy in Washington after the Minister’s closed door meeting. A few days ago, Ministry of Finance Spokesperson Chileshe Kandeta announced that a team of IMF officials will be in the country this month to meet various stakeholders ahead of an expected financial bailout. Zambia is heavily reliant on copper sales and the drop in its price has reduced the country’s revenue and increased in inflation. A few months ago, the Chinese owned Baluba mine in Luanshya was placed on care and maintenance, sending 1,600 workers on forced leave. Last month, African Rainbow Minerals which holds 40% shares in Chililabombwe-based Lubambe mine, announced that it was selling its stake due to low copper prices. With this in mind, Mr Mutati, who is barely a month in office, has come up with an economic recovery plan which he hopes will resuscitate the economy. The plan includes removing subsidies on a number of products in the coming years.